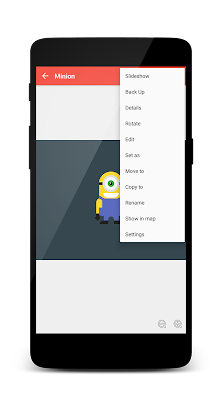 Home » Guide » How to change wallpaper in Android? Wallpapers. The first thing that you lay your eyes on as soon as you unlock your phone. No matter what your mood is – there is a wallpaper to reflect just that. Now, when I say wallpapers, there are two types. 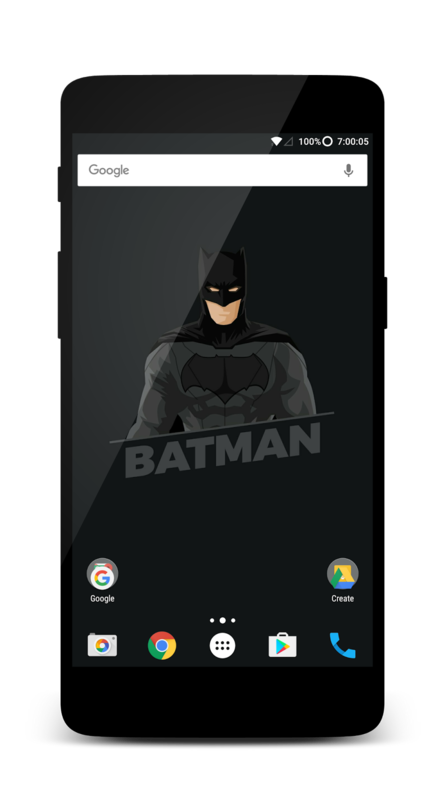 Homescreen wallpaper and Lockscreen wallpaper (The one that is on your Lockscreen). 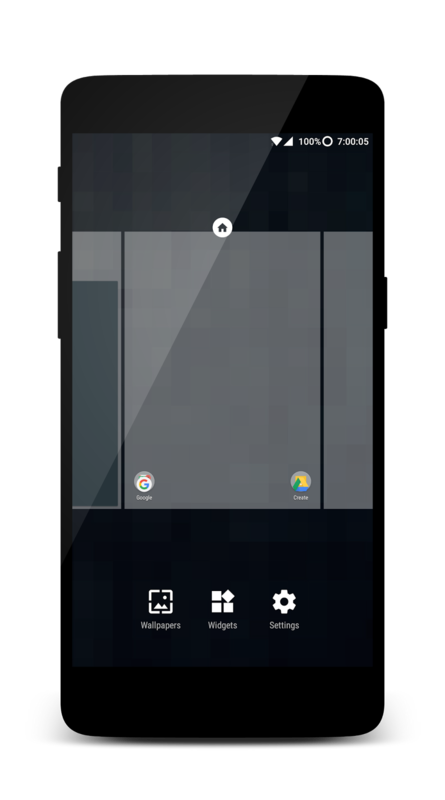 In this tutorial, let us see how to change wallpaper in android. 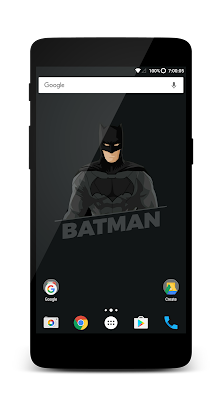 For the purpose of this tutorial, I have used ‘Nova Launcher’ and ‘QuickPic’ gallery. You can download them from the downloads section below. But, you can use any Launcher or Galley app of your choice. The steps will be almost always similar. There are two ways to change Home screen wallpaper in android. 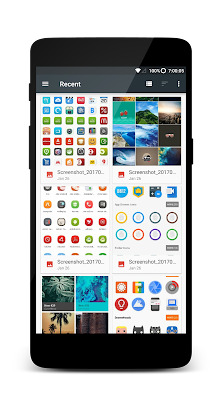 This is the one among the ways to change wallpaper in android. 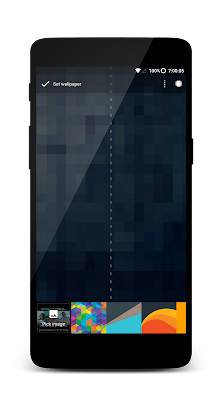 Step 1: Long press on the empty area on your Homescreen. You will be presented with 3 options as shown in the below image. 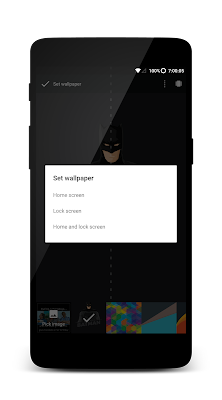 Press on the first option ‘Wallpapers’. Step 2: Now, you will be shown a screen as in the below image. 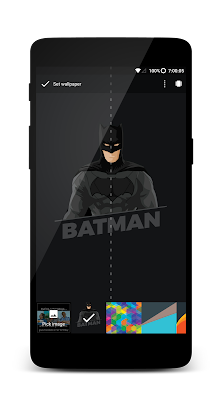 In this, there will be a few wallpapers that came with the Launcher and if you have any wallpaper apps installed, they will also be shown here. 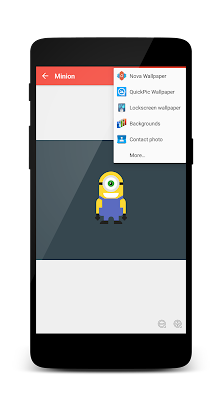 But to apply the wallpaper which you have saved in your gallery, you will have to click on the ‘Pick Image’ box. Step 3: You will be taken to the ‘Recent’ screen which is a built in system app screen where all you recent documents are shown. If your desired wallpaper was recently saved then it will show up here and you can choose it from here. If not, read along. Step 4: Click on the menu icon in the top left corner next to ‘Recent’ and you will in the below screen. 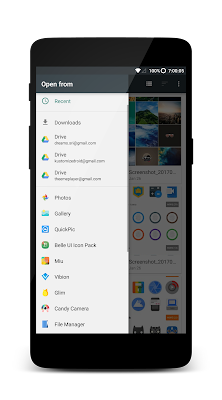 Choose ‘QuickPic’ from that presented options. Step 5: Now the QuickPic galley app will open. 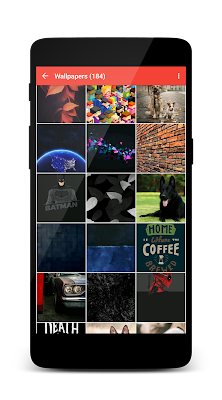 Step 6: Browse to your desired wallpaper and select it. After selecting, you will be shown the below screen. You can scroll and adjust you wallpaper here. Once you are satisfied, click on the ‘Set wallpaper’ on the top left corner. 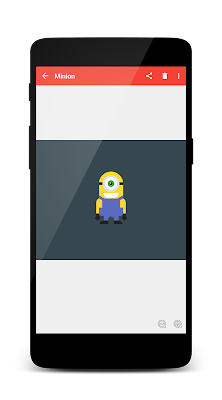 Step 7: If you are on Android 7.0 and up, you will be presented with the following screen. 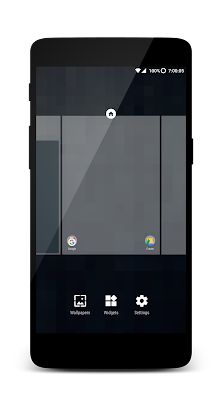 Select ‘Homescreen’ option and you are all set! 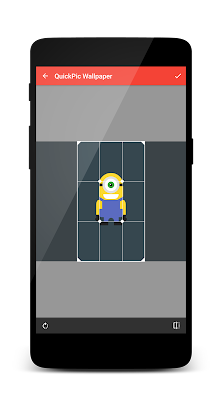 The wallpaper will be applied to your home screen. Now, let us look at the alternative and very easy method. 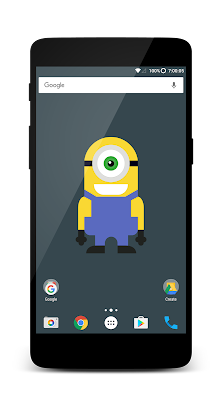 This is the easiest way to change wallpaper in Android. Step 1: Open the galley app and navigate to the wallpaper that you want to set as Homescreen wallpaper. Step 2: Click on the menu icon in the top right corner. You will be presented with the below options. Click on ‘Set as’. 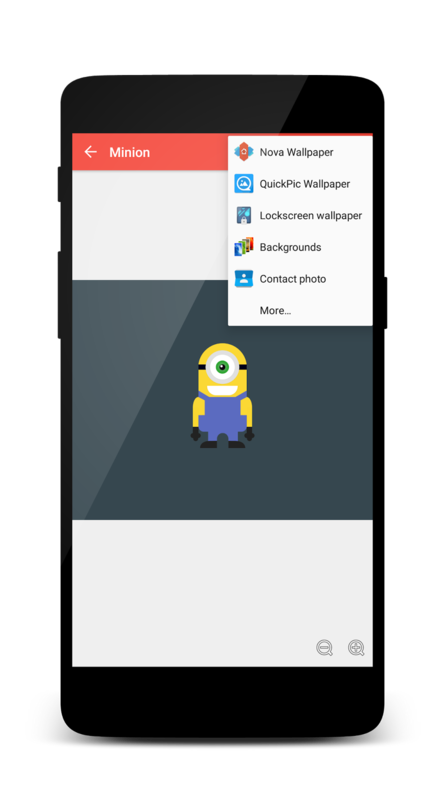 Step 3: Now select, ‘QuickPic wallpaper’ from the menu. 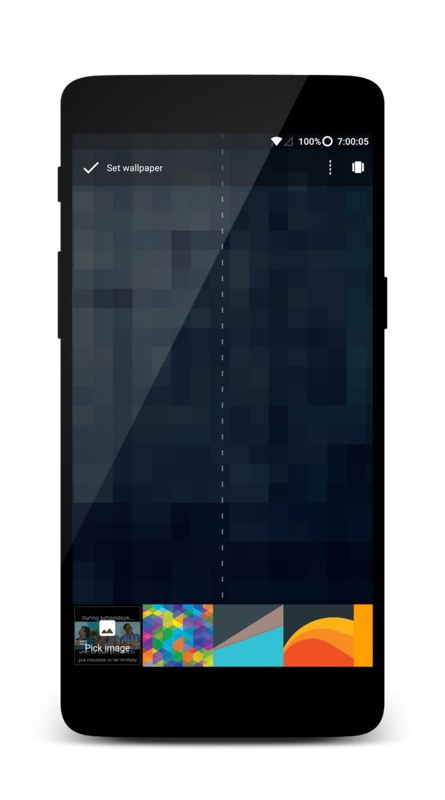 Step 4: Adjust the wallpaper as per your needs and click on the ‘Tick’ mark in the top right corner. Now that was easy, wasn’t it! Should you encounter any trouble – please do leave a comment below or get in touch with me through the details in the contact us page. I will be more than happy to help you.